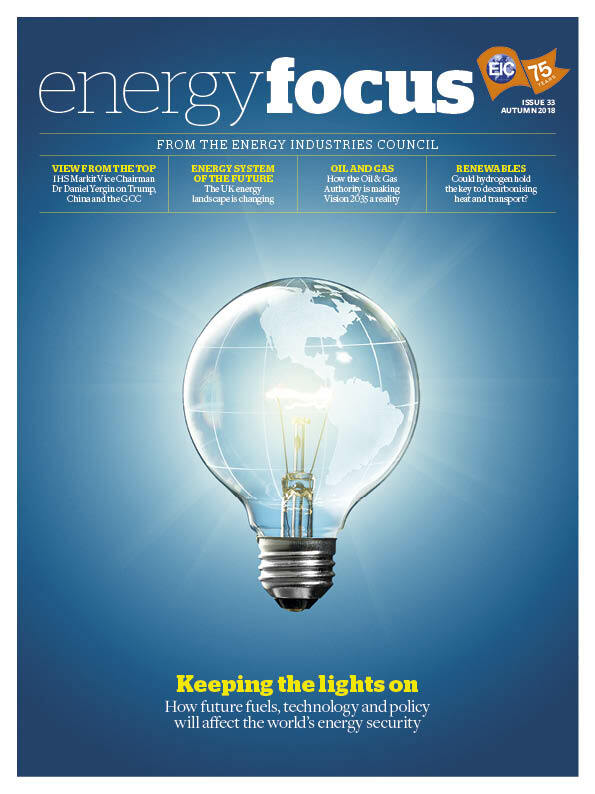 Global energy expert and Pulitzer Prize-winning author, Dr Daniel Yergin, talks to Energy Focus about the driving forces shaping the new energy future. Q. Shale was the last big GCC disrupter. What technology will hit next? Shale is the biggest energy innovation of this century. It has changed the balance in the world oil market, and it has changed global perspectives. We now have the Big Three: the US, Saudi Arabia and Russia. Not only has it been a very important contributor to the US’ economic performance, one other notable response, as a result of the impact on the market, is the new Vienna Alliance of OPEC and non-OPEC. Solar and wind are really innovations from the 1970s and 1980s, although it’s only in recent years that we have seen the big declines in costs. It’s a little hard to predict a disrupter until it disrupts. The triad of electric vehicles (EVs), ride-hailing and autonomous vehicles might be one, but that will take time. In IHS Markit’s Reinventing the Wheel study, we anticipate, based on our Rivalry scenario, that EVs will be 26% of a much larger auto fleet by 2050. The list of other technologies might include the impact of biology, carbon capture and use, and of course artificial intelligence. The GCC countries can anticipate an energy market that is more competitive and diverse, but also one in which oil demand continues to grow for a couple of decades and natural gas becomes more important while climate policies become over-arching. They clearly need to future-proof their economies against cycles. Q. What do you think the future holds for US shale? The US has become a predominantly short cycle producer, highly responsive to prices, and the impact can be felt over a period of several months. While interest rate hikes are attracting a lot of attention, the rate of rise shouldn’t have too much of an impact on the US shale market. More significant are pipeline bottlenecks and the new activism by shareholders who are seeking a financial return and pushing oil producers to operate within their cash flows. Dr Daniel Yergin is a highly respected authority on energy, economics and international politics, and is the Pulitzer Prize-winning author of The Prize: The Epic Quest for Oil Money and Power and The Quest: Energy, Security, and the Remaking of the Modern World. Fortune called him ‘one of the planet’s foremost thinkers about energy and its implications’. He is Vice Chairman of IHS Markit, one of the leading information and advisory firms in the world, and founder of IHS Cambridge Energy Research Associates. He served on the US Secretary of Energy Advisory Board under Presidents Clinton, Bush and Obama, and he served on President Trump’s Strategic and Policy Forum. 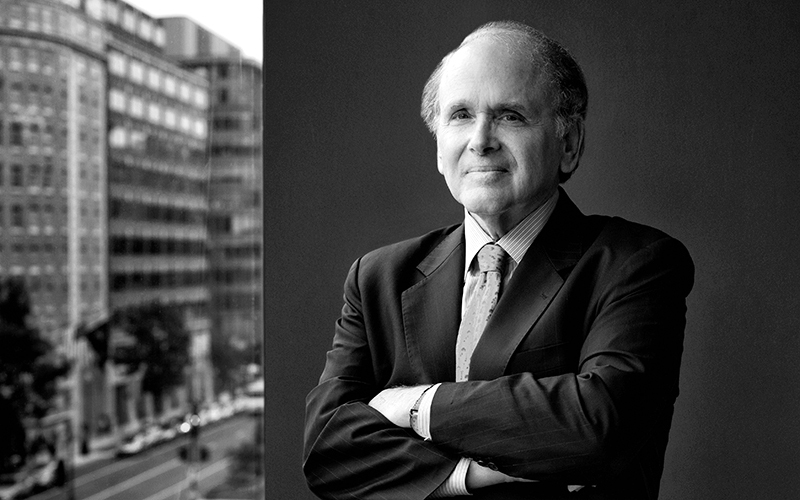 Dr Yergin holds a BA from Yale University and a PhD from Cambridge University, where he was a Marshall Scholar. Dr Yergin will receive a Lifetime Achievement Award in Abu Dhabi in November 2018. Q. What impact will sanction campaigns have? Sanctions have become a much more widely used foreign policy tool for the US. The impact is already obvious with Iran and in the oil market. It’s affected Western participation in the Russian oil industry and has helped accelerate the closer relationship between Russia and China. The growing application of sanctions also reflects contention between the US Congress, which has been very active on sanctions, and the administration, as well as the split between Democrats and Republicans. Q. What are the possible consequences of the ‘trade war’ between the US and China? There are deep-seated issues involved here. It’s certainly worrying to see a ‘trade war’ between the world’s two largest economies, and many are very concerned about the impact on the global economy and the way in which it makes other issues more difficult to handle. One of the positive effects of the shale revolution in the US has been that, instead of China and the US being rivals for energy supplies, they have become partners, with China becoming a big buyer of US oil and also of LNG. But now that positive development is being impacted by tariffs and changes in trade flows. Q. The US is now among the world’s top crude oil producers. Is energy independence a realistic goal for the US? Energy independence has been a mantra of US politics ever since the 1970s, when it became clear that the US was not energy independent. But it was really about oil. Aside from oil, the US was self-sufficient in energy, allowing for some natural gas imports from Canada. Now its oil position has changed dramatically – a drop from 60% net imports a decade ago to an average of 15% so far this year. Also, because the ban on crude exports is coming to an end, the US is much more fully integrated into the global oil market. Q. It is almost 18 months since President Trump withdrew from the Paris Climate Agreement. How do you think this has affected the US and the wider world? The withdrawal of the US from the Paris Agreement was not exactly popular with other governments around the world. Nevertheless, governments continue to apply climate policies, although in some countries these are also pollution policies. The Trump administration is seeking to roll back or modify some of the climate policies that were implemented under Obama. Many policies remain in place, the individual states continue to impose new mandates favouring renewables and strong incentives remain for EVs. The administration has put a renewed emphasis on carbon capture and use. At IHS Markit we have just completed a major study on energy innovation in the US, and the budget for R&D in the Department of Energy has gone up, not down. Q. How will Europe meet its energy demand in the future? Europe is going to face the need for more natural gas imports because of the decline of domestic supplies, especially from the giant Groningen field, which has been a backbone of the European gas supply since the 1960s. Some of the growth will come from pipeline gas, which means Russian gas. But, as we argue in our report The Globalization of European Gas, the European market is being transformed by the growth of LNG supplies and much greater flexibility in the domestic pipeline system. The European gas market will become more competitive with the rise of LNG. Buyers will have options and choices. Price will be key. Q. Has the industry learnt how to avoid boom-bust cycles? One of the lessons I took away from writing both The Quest and The Prize is that cycles are an inherent feature of this commodity industry. Certainly boom and bust are not healthy, but cycles will continue. What particularly hit me when I looked back at The Prize is that whenever big new sources of oil supply come into the market, a price decline or collapse follows. Q. 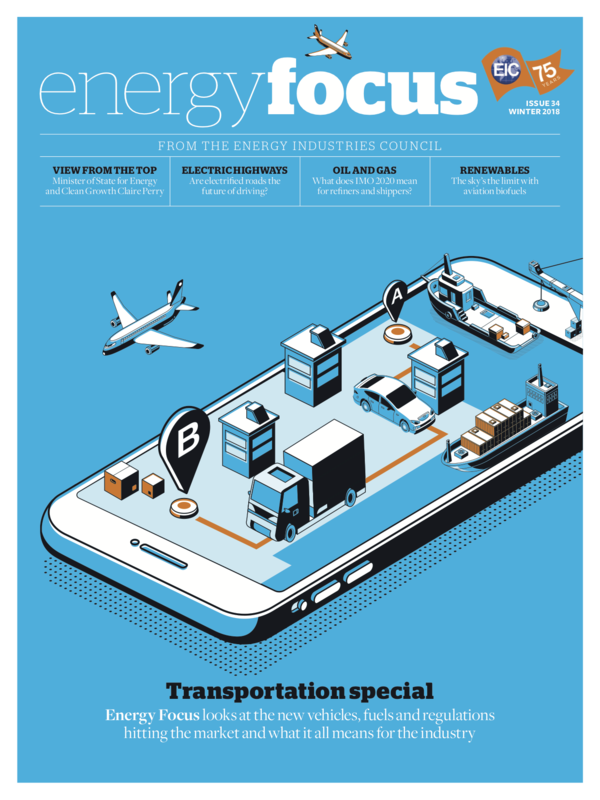 The industry focus has changed from peak oil to energy transition. What does energy transition really mean? At our CERAWeek in Houston in October, I was struck by how many people talked about energy transition and how little agreement there is about what it means. The other week, I was at the annual meeting of the Oil and Gas Climate Initiative in New York City and it became clear to me that this lack of consensus arises from the fact that no one knows what the impact of technologies we see and may not yet see will be. Q. Can big oil really be part of a low-carbon future? The global oil industry is determined to be part of that future, and it has formidable technological capabilities to bring to bear. Natural gas is part of that picture, but the industry is involving itself across the technology spectrum. Q. What kinds of emerging or new technologies should we expect to see in the next five years? Could it be artificial intelligence? One thing this industry has is a lot of data. Maybe it will be the cohabitation between Silicon Valley and the global oil and gas industry. Q. Might this technology shift the international balance of power? Energy is a very critical element in the global balance of power. That’s the subject of my new book, and that’s what I’m writing about now. There are many ramifications. Q. 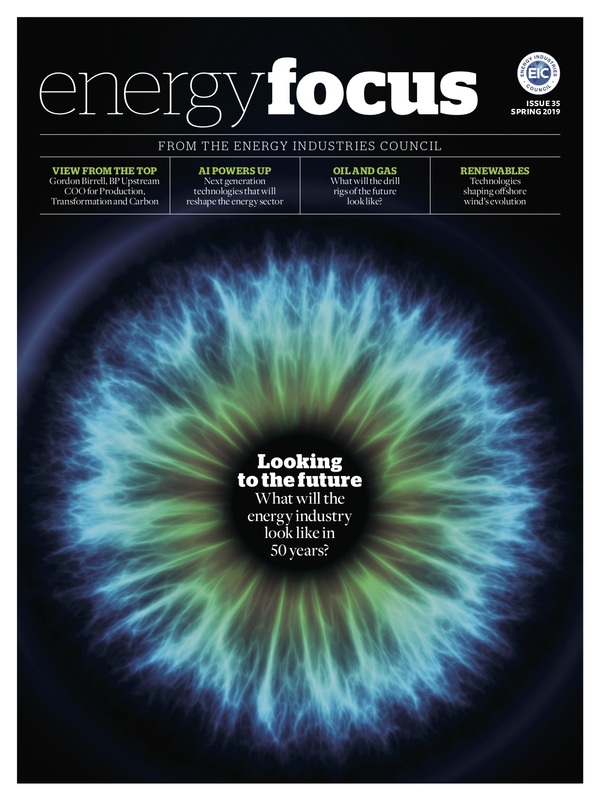 What role will innovation play in future energy development? It’s central and always has been. However, the last five years has seen a renewed emphasis and more focus on collaboration with research institutions and the world of start-ups. Q. 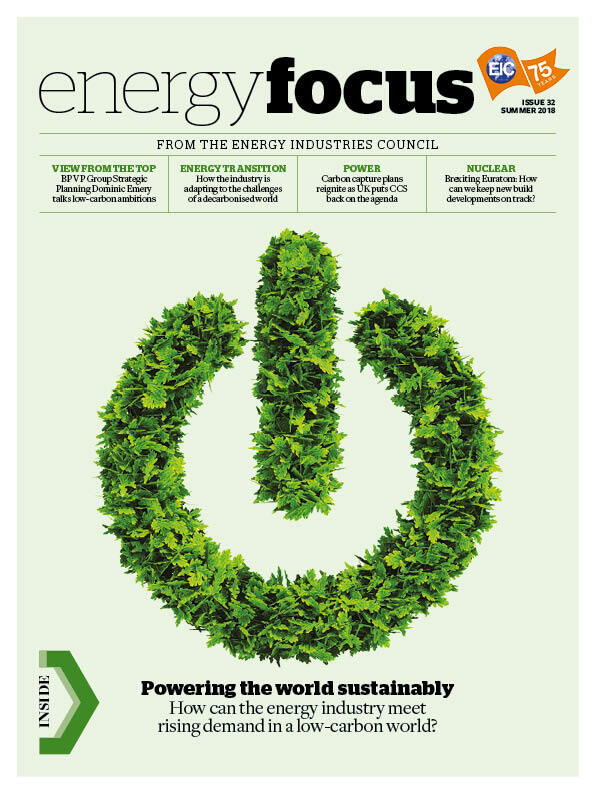 What needs to be done now to deliver a balanced global future energy system? Investment. And it’s critical that the industry be engaged in the global dialogue, that it be a player, that it avoid being ‘late’ on issues. It needs to bring to that dialogue its realism about scale and execution and its responsibility to the world’s people, who depend on it for their wellbeing.